Yesterday I went to Houten to meet once again with the group of Australians currently in the country (the same people as came to Assen a week previously). Herbert Tiemens from Houten lead a ride around the city with Mark Wagenbuur, while Marc van Woudenberg and myself where also on hand and talked a lot. The centre of Houten. No cars are allowed here, except for access. I could have stood here all day and taken similar photos. Note the wide demographics of cycling. In the Netherlands it is normal for children who are old enough to balance to ride their own bikes, rather than having to be carried on a bike ridden by parents. Herbert talks about the city, how cyclists can take direct routes while drivers cannot. Herbert also told us about the road safety record of Houten. In the past 25 years there has been just one fatality amongst cyclists in the city, a pensioner who was unfortunately run over by a refuse truck. 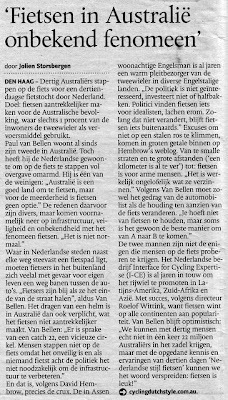 Dutch cyclists are the safest in the world. OV-Fietsen - the national public bicycle system of the Netherlands. These distinctive blue and yellow bikes are available in almost all cities. The new railway station cycle park is especially well integrated You can park your bike (there are 3500 spaces for a city of 50000 people) buy a ticket and then climb the stairs to access the platform directly. Social safety is also important. This is cycle parking in which you don't feel you will be mugged. The flowers are a nice touch. Most cycling in Houten takes place away from cars. Everywhere is most easily reached by bike. Cycle paking in the historic centre of Houten. Amongst five adult bikes, which share three child seats for very small children, are two small bikes for 4 year olds. In Dutch cities, it's quite normal for such small children to ride their own bikes into the city centre. The photos show many of the features of Houten. However, while this city was specifically designed to accommodate bikes, and does so very well, it would be wrong to get the impression that what works in Houten has stayed in Houten. 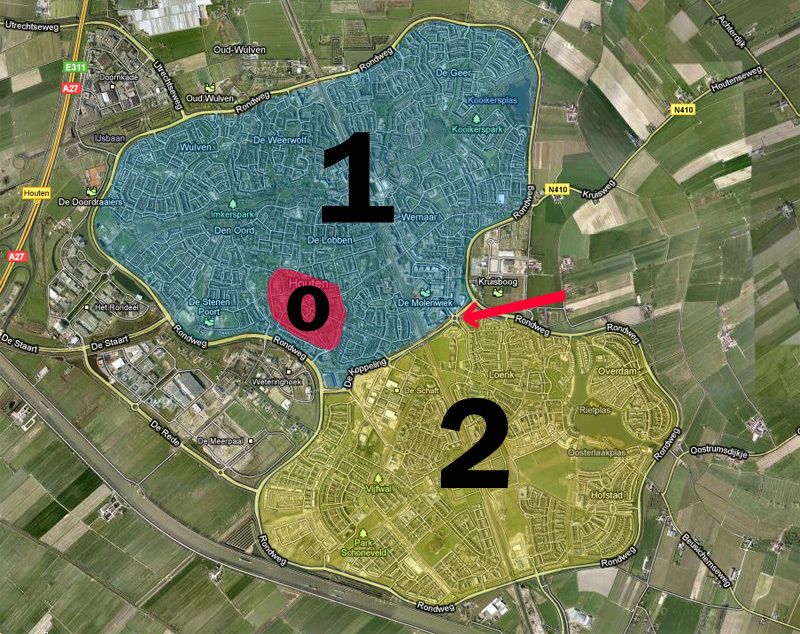 All other cities in the Netherlands, including Assen where we live, now have many similar features. Successful experiments in Houten as well as other cities have influenced new development and re-development all across the country. These days, the Netherlands doesn't really have just a few "cycling cities", but is in fact an entire cycling country. Cycling en-masse is not concentrated in just a few areas. This is the secret of why the cycling rate is so high for the country as a whole. I've not given up on Continental, but have replaced the Grand-Prix with the Continental SportContact. These are the same size, 28-406, but they are designed for everyday use. They weigh a bit more, have a bit more rubber, have the "SafetySystem" anti-puncture protection, sidewall reflectors, and a lower cost. they're also still supposed to be fast. It sounds like a promising combination, so I'll see how I get on with them over the next few months. Visit our webshop for practical, genuinely useful parts of all types for all bicycles. Including fast hard wearing tyres for recumbents and velomobiles. Playing Out is a project in Bristol in the UK which closes streets so that children can play. It's a great idea, illustrating the loss in freedom of children at the same time as giving a chance for proper outdoor play, even if only occasionally and not with a permanent change to the streets. I quite often cover the rights of children playing in the street. Dutch woonerven ("Home Zones") are similar in concept to "Play Streets" which used to exist in the UK, but the concept seems to have been forgotten. It's worth bearing in mind that the turnaround in prospects for Dutch cyclists, adults as well as children, came about in large part because of looking at improving conditions for children. There are far more parents than "cyclists" in the UK. They're a much more powerful lobby group, and no-one can argue that the rights of children are unimportant. The Netherlands also has an organisation which organises play in the streets. The Buitenspeeldag - Outside play day is on the 1st of June this year, and many streets across the country will be closed completely for play. I came across this via Mark at IBikeLondon. People often ask how the design of Dutch infrastructure came about. Concern about the vulnerable played a huge part in this. Not only does the infrastructure have to be safe, and Dutch cyclists are the safest in the world, but to achieve true mass cycling, you also need a degree of subjective safety sufficient that everyone finds that cycling feels safe enough that it's something they want themselves and their family to take part in. You must also not disregard how important it is for cyclists to be able to make efficient, direct, fast journeys, because if cycling is less efficient than driving then people won't cycle if they're in a hurry. Many people always are "in a hurry". For that reason cyclists have to be prioritized, so that even an average person can make most of their journeys faster by bike. Guest blogger Mark Wagenbuur came with us for the day, which was a great help with this large group (30 people). He also made the video at the top. Bikes parked with those of local shoppers while we have coffee. Children going home from school for lunch. The very young ones are accompanied by parents, but the average age at which children are considered to be able to travel independently is about 8 and a half. Discussing details of the new suburb which encourage cycling over driving. One of many bridges and cut-throughs which make cycle journeys shorter and more direct than car journeys. The bicycle road which links the new suburb with the centre of the city. Bikes on this side of the canal, cars on the other side of the canal. Our waitress at the lunch-stop asked us what we were doing. When we explained, she told us she had taken a holiday in Australia and tried cycling there. While she cycles every day in Assen, she tried it for one day only in Australia and gave up. Apart from the danger of the traffic and lack of subjective safety. Watch her video about how she really doesn't like to wear a helmet. Some consternation at a major junction, but of course we pass it on completely separated paths, and in one stage with no barriers to swerve through or delay us further. We are holding the next public Study Tour in September. If you would like to come along, please get in touch. If you think your local representatives would benefit from being shown how well the infrastructure works here in Assen, and how it has helped to create a cycling culture where everyday people make 40% of all their journeys by bike, please recommend that they come along. Booking information is on our website. Please read a later blog post which shows the safe design. This post by a guest blogger is informative but draws an incorrect conclusion about the safest way to design roundabouts for cyclists, favouring a design proven to be seven times more dangerous for cyclists. Please see a later blog post which explains the safest design and provides a comparison of casualty rates at the type of roundabout proposed here vs. the safest design. Potential conflicts on intersection types. In the Netherlands cyclists have priority over motorized traffic on most roundabouts in built up (urban) areas even when they are on the ring shaped separate cycle path around the roundabout. Cyclists generally have no priority on roundabouts outside built up (in rural) areas. 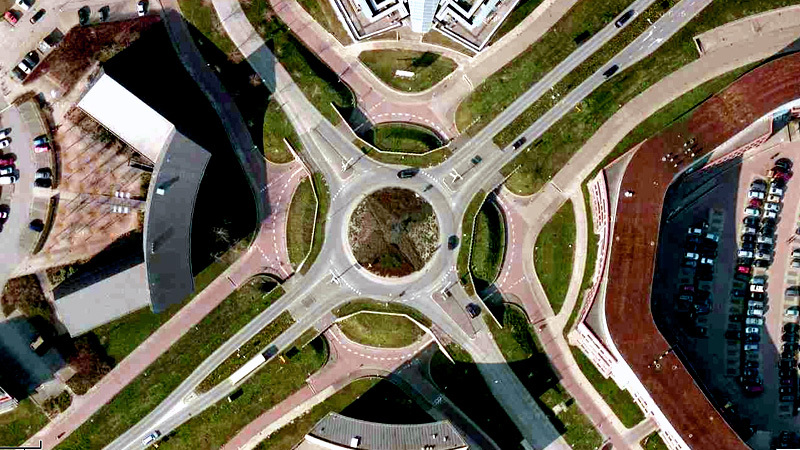 There have long been roundabouts in the Netherlands. But they were large with only a small center island so cars could easily pass each other at high speeds. These old fashioned roundabouts were not very safe and because of the priority rules they were not particularly effective either. 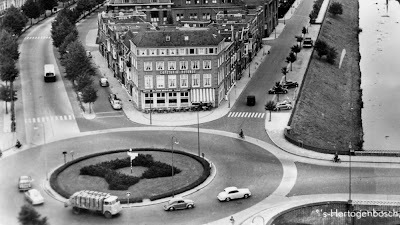 Under Dutch law all traffic on the roundabout had to give entering traffic –coming from the right– priority. This led to a standstill on the roundabouts when there was a lot of traffic. In the mid 1980s the priority rule was changed to be more in accordance with other European countries. From then on traffic on the roundabout had priority over traffic entering it. But because of the much higher number of cyclists in the Netherlands the question of how to arrange their priority arose. At first cyclists on the roundabouts and those on cycle lanes on the roundabouts had priority. The ones on cycle paths on the outside of roundabouts had to give priority. 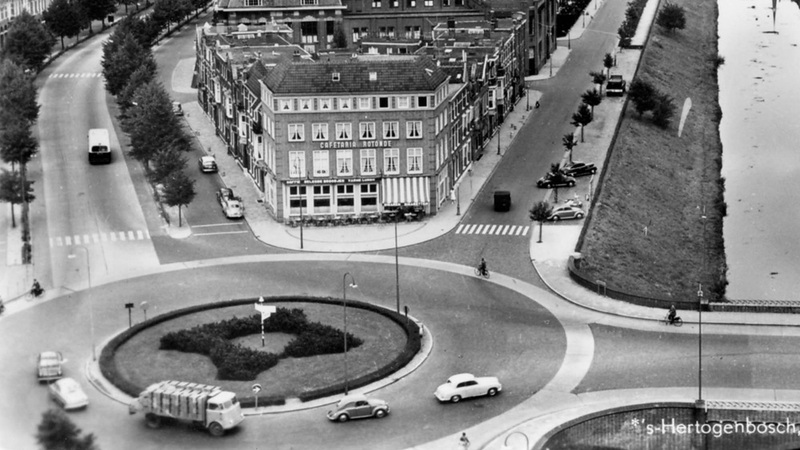 Since the speed of motorized traffic on a modern roundabout is so low (around 30kph/18mph), the city of Enschede started an experiment in 1990. They reasoned that with those speeds it would perhaps be no problem at all to give cyclists on a ring shaped cycle path around a roundabout priority over motorized traffic that enters and exits that roundabout. The experiment was successful and soon other municipalities followed. This led to differences in priority between different municipalities and confusion with road users. Confusion leads to unsafe situations so this was unwanted. The government initiated action to remedy this. After thorough investigations CROW (Dutch technology platform for transport, infrastructure and public space) finally came with recommendations to harmonize the dimensions and the priority rules on Dutch roundabouts in 1993. They were supported by the minister of transport, the provinces, most municipalities and organizations like VVN (‘Safer Traffic Netherlands’), ANWB (Dutch Motorist’s Union) and the Cyclist’s Union. The recommendations marked the end of the experimental phase of priority for cyclists on roundabouts in built up areas. 2 by having the color of the cycle path continue across the drive way of motorized traffic. Note that this is not the safest roundabout design used in the Netherlands. 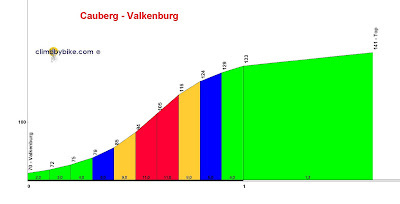 This design is known to be responsible for dozens of injuries a year in the Netherlands. By 2010 the recommendations were adopted by most municipalities. Cyclists did no longer have priority on nearly all of the rural roundabouts. But it is different for urban roundabouts: some municipalities refuse to adopt the recommendation even though they were repeatedly asked to change the priority on their roundabouts by even the minister of transport. This could have to do with the fact that first investigations revealed that roundabouts where cyclists have priority were "slightly less safe" than those where they do not have right of way. However both situations are considerably safer than traditional cross roads junctions. Apart from SWOV (Institute for Road Safety Research) all the other institutes were therefore in favor of priority for cyclists in built up areas. 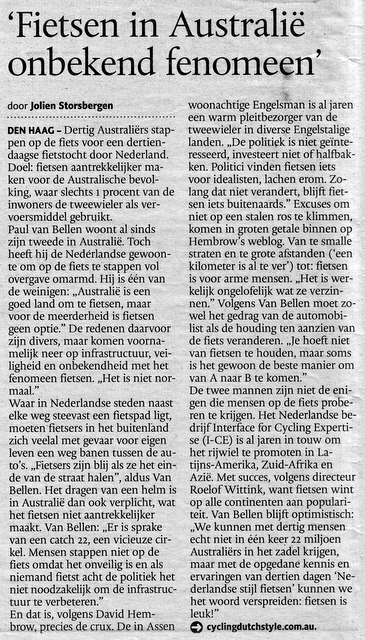 On VVN’s website this is explained: Although it is supposed to be safer for all cyclists to not have priority, Veilig Verkeer Nederland (Safer Traffic Netherlands) does not find this desirable. It would have negative consequences for the mobility of cyclists. Especially in built up areas cycling is to be preferred over driving. This should be reflected in the right of way. Now that the rule has been in force for over a decade and all traffic users could get used to the priority rules, the Cyclist’s union sees a high and growing appreciation for these roundabouts. Interestingly cyclists also report a decreasing number of “near misses” and they give high marks for comfort. The most important type of roundabout is the single-lane roundabout. It can handle 20,000 – 25,000 vehicles per day. With a steady arrival of vehicles, a roundabout can have a shorter waiting time than a signalized junction. In general, the waiting time for cyclists and pedestrians is shorter on a roundabout, even without priority, than at signalized junctions. When an intersection with traffic lights is replaced by a roundabout, the emission goes down by 29% for CO and 21% for NOx. The noise emission decreases in both cases. Information for this blogpost was gathered from the Factsheet Roundabouts from SWOV and websites from the Cyclist’s Union, VVN, Fietsberaad and other institutions. Important note: Assumptions made by the author and other organisations about the safety of this roundabout design have proven to be incorrect in the light of actual crash statistics. While this roundabout design is safe for drivers, it has almost no benefit at all for cyclists over an un-signalled junction. What's more, it has been proven to cause seven times so many injuries as the safer Dutch roundabout design. See all posts about roundabouts in the Netherlands including examples of real designs and a discussion about what is truly the most safe design including statistics about real life examples. Our local newspaper recently reported that Assen tied as one of the two cheapest places in the Netherlands for parking a car in the city centre. It costs just €1.67 per hour, though actually you get to park for free if you visit the supermarket at the same time. However, this still gives a mis-leading picture. Actually, most car parking in Assen is free. That's true even just 500 m from the centre for drivers who are willing to walk a short distance. High prices for parking or for using a car don't make people cycle. Rather, if cycling is an attractive enough option people will choose to do it. That's why Assen has a 41% cycling rate. People choose to cycle here because it's extremely pleasant and convenient. They are not made to do so under duress and certainly not because they are "punished" for driving by the high cost of parking. city centre. It's never full. It is a mistake for cycling campaigners to get involved in arguments about the cost of fuel or parking of cars. People will readily change their behaviour if a better option comes along, but they don't like to be told what to do. For cyclists to do this makes enemies of people who could be our (future) allies. Most drivers don't so much enjoy their driving as endure it. This goes double for those who regularly get stuck in traffic during commutes, with time taken on the commute having rather an unpredictable nature when driving vs. the usually very predictable time taken when cycling. In another blog post which discussed how it's not necessary to alienate drivers with high parking fees in order to result in mass cycling, I included this photo. Regular car commuters to the centre of Assen can hire a garage in the centre of Assen for just €28 per month. The reason why it is so cheap is that there is an over-supply of garages. This is not because there is an especially large number of parking places, but because demand is relatively light compared with cities in other countries. 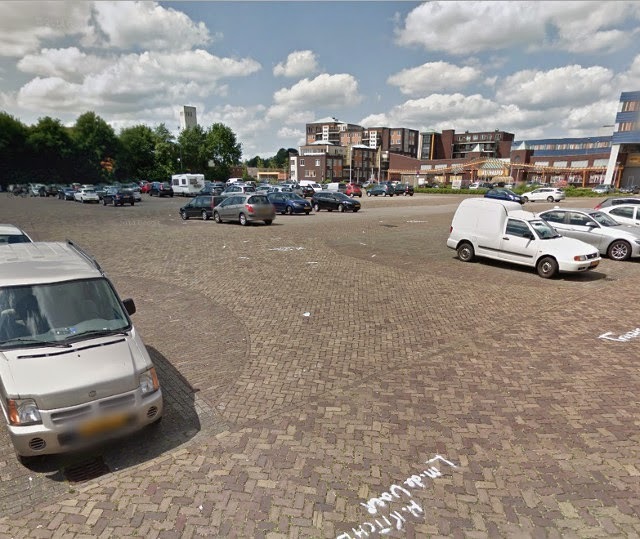 The low price of parking in Assen and the relative emptiness of car parks is a demonstration of how successful the policy to increase cycling has been. Drivers benefit from more cycling. At many other places in Assen, car parking is free of charge. That includes other shopping areas than the centre. 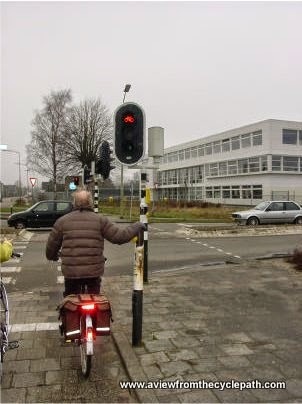 Right: Dutch design of an actual junction with cycle paths in red. Left: the same ideas used on an American road to see if it could be done. ‘Just a lane change’? That is an interesting way of seeing it. Indeed the whole object of this design is to eliminate just that action. Because a lane change IS a dangerous thing to have to do. Some commenters were concerned about the remaining space for motorized traffic. The radius is the same as for the conventional US junction. But yes, it appears to be sharper, thus making traffic go slower. One more advantage. Click for many other posts about roundabout design as well as about traffic light junctions, but note that unravelling of cycle-routes from driving routes means that cyclists often avoid such junctions altogether. Please note that while Mark refers to a "standard" junction design in the text above, junctions which exactly resemble this design are not actually common in the Netherlands. Only one junction in Assen closely follows this design and that's already planned to be replaced with a more modern and more convenient (for cyclists) design as used in the rest of the city. It appears that NACTO took these criticisms on the chin and are adopting a design of junction very similar to Mark's sketch above. Be careful that it is not over-applied. This needs to be one of a range of solutions, amongst better solutions, not the solution or the best solution alongside lesser solutions.